After our recent ice storm, simple dinners have been the way to go. A couple of pork chops, some salt and pepper, an onion and water and you have dinner. Super-simple, easy and delicious. Preheat oven to 275. In a large Dutch Oven, heat oil and butter over med-high heat. 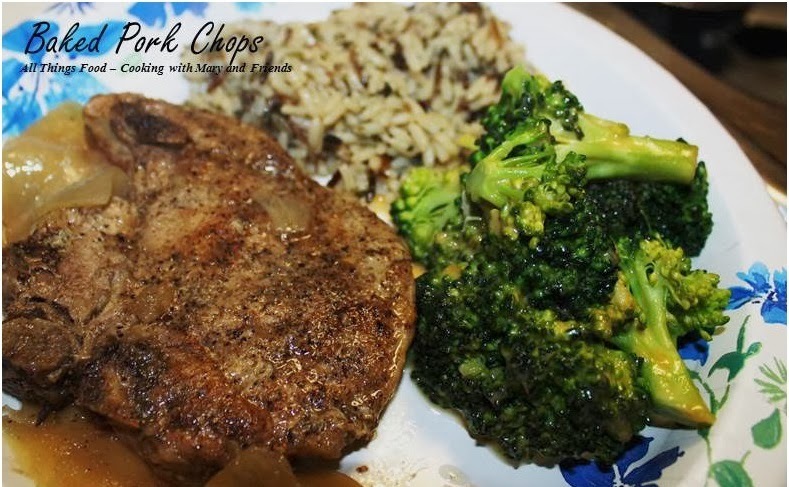 Salt and pepper pork chops liberally over both surfaces. Sear pork chops in oil and butter until well-browned on each side. Remove from heat and add quartered onion and water to cover all. Cover Dutch Oven with lid and place in preheated oven. Bake for 3 hours or until very tender. Serve with your choice of sides. Easy and delicious.